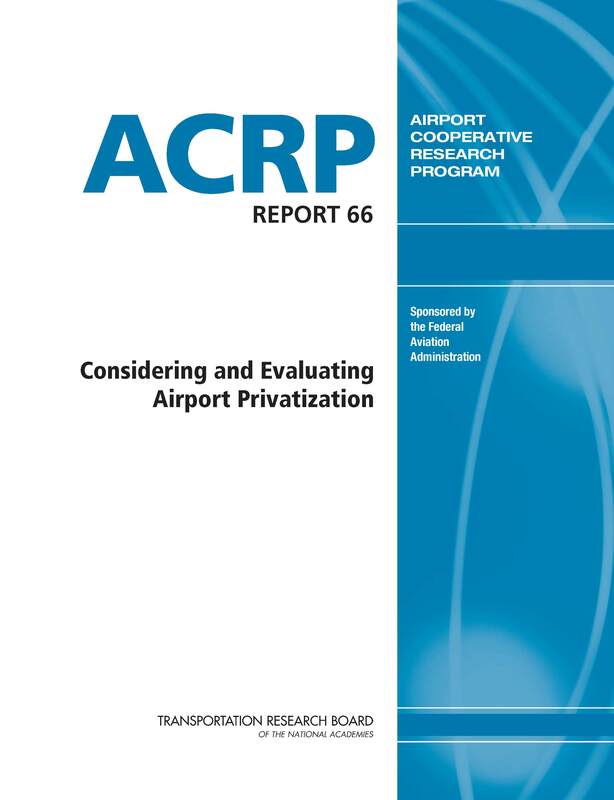 On May 30, 2012, the Transportation Research Board published ACRP Report 66: Considering and Evaluating Airport Privatization. The Guidebook examines the various options for enhancing private sector involvement in airport operations and development, identifies strategies for considering the advantages and disadvantages of these options, and provides numerous examples and case studies. The Guidebook is comprehensive in its treatment of the subject and will be useful for all of the stakeholders involved. The Firm participated on the team led by Leigh|Fisher Management Consultants, the contractor to TRB.